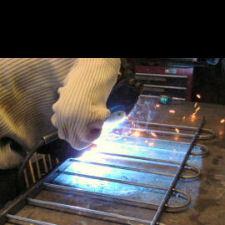 Ironworks is a small blacksmiths / steel fabrication company based in Crawley, West Sussex. 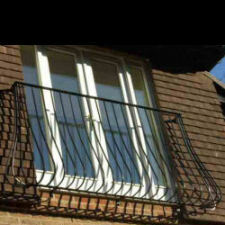 Who specialise in custom made wrought iron work such as Gates, railings and juliet balconies to name a few. The majority of our work tends to be in and around West Sussex, East Sussex, Surrey, Kent and South London. With a smaller quantity coming from Hampshire, Berkshire, Essex and north London. Everything we make is made to order, either from designs given to us from our customers in photographic or drawing form, or designed to our customers specification. 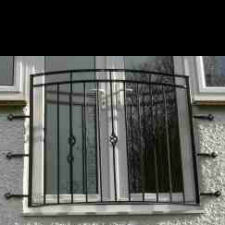 Mainly because there is no such thing as a standard size gate or railing. So if your going to the trouble of having something made to fit, you might as well have made to a design that you like rather than an off the shelf design. 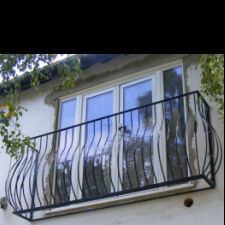 Being a small company gives us great flexabilty, it also gives a more personal contact with our customers, speaking to the actual person who would be making your gates or railings etc. It also allows us progress on a project to a certain point, and wait for customer approval to continue. This ensures you get exactly what you want and can modify the design part way through a project. We do almost no advertising and prefer to rely on the word of mouth for business, if you doing something right people find out, equally if your doing it wrong they find out as well. Feedback from customers be it good or bad is a very important part of our business, it allows any company the chance to improve there service and quality of there workmanship, and find out what they are doing right or wrong.